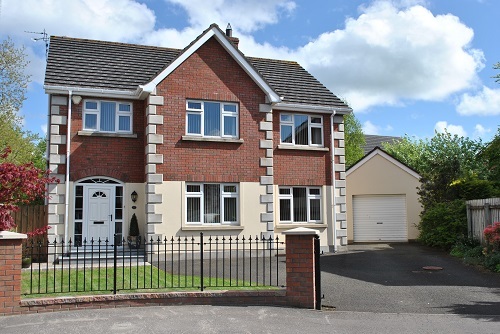 Impressive Detached, Two Storey Dwelling situated in excellent corner site, in pleasant residential location very well presented by current owners. 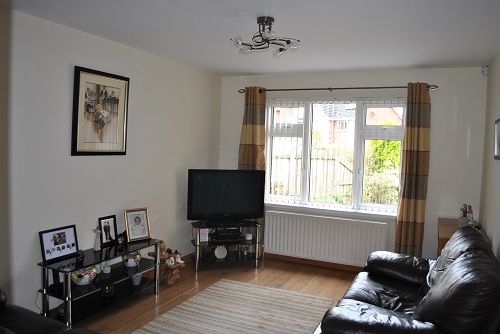 Two reception rooms including Sitting Room and Living Room. Four good bedrooms, Master bedroom with Ensuite Shower Room. 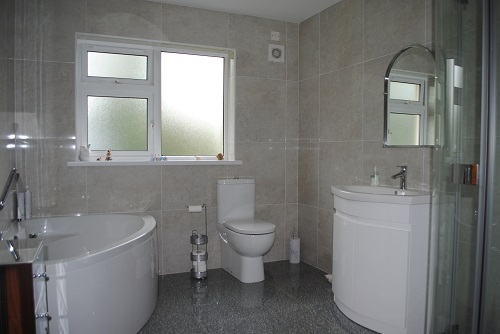 Family Bathroom comprising four piece suite including corner bath and separate walk in shower unit. 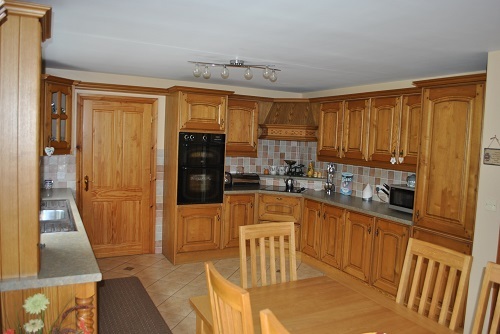 Kitchen / Dining area with patio doors and excellent range of chestnut units incorporating hob and oven. Utility Room with excellent range of chestnut units an ground floor toilet.Key Features Include; Oil fired central heating system, Double glazed windows and doors in upvc frames, Security alarm system, Byson slab floor.Tarmac driveway, Detached Garage, Patio areas to private south east facing rear garden. Please contact me about 27 Knockanbaan. 15'6 x 8'8 uPVC front door with double glazed side and top fan lights. Porcelain tiled floor. 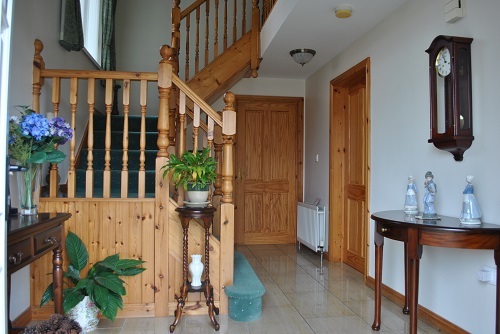 Ornate half turn staircase with under stairs storage cupboard / Cloakroom. 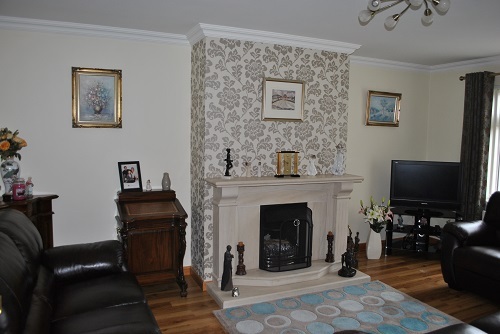 16'2 x 11'2 Feature Portuguese marble fireplace with open fire and domestic back boiler. Oak Amico floor. Ornate ceiling cornicing. 13'8 x 10'2 Oak wide plank floor. 20'6 x 12'8 Excellent range of Chestnut units with matching worktops. Stainless steel double drainer sink unit with mixer taps. Part tiled walls. Tiled floor. Display units and window pelmet. Creda double eyelevel oven and Creda four ring ceramic hob with corner canopy housing concealed extractor fan. Patio doors leading into south east facing rear garden. 10'4 x 10'2 Excellent range of chestnut units with matching worktops. Stainless steel single drainer sink unit with mixer taps. Part tiled walls. Tiled floor. Plumbed for washing machine. Ducted for tumble dryer. Upvc rear door with double glazed centre light. White two piece suite comprising low flush wc and vanity unit with wash hand basin. Tiled floor. 14'4 x 11'4 Excellent range of walnut units including robes, display shelving, bedside lockers, headboard and drawer set. 8'8 x 5'8 White three piece suite comprising corner shower unit with Redring Expressions power shower. Low flush wc. Vanity unit with wash hand basin. Good quality tiling to walls and floor. Wall mirror. Shaver point. 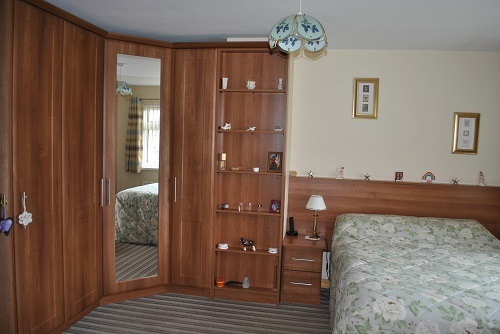 11'10 x 10'6 Excellent range of built in units including robes, drawer set, bedside lockers and headboard. 11'4 x 10'4 Double built in robe. 10'4 x 8'0 Champagne four piece suite comprising corner bath with telephone taps and shower attachment. Pedestal wash hand basin and low flush wc. Separate walk in shower unit with Redring Expressions electric shower. Good quality tiling to walls and floor. 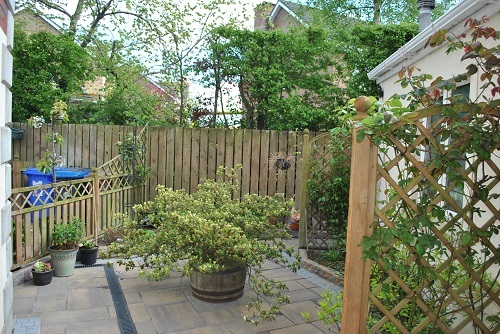 Excellent corner site with gardens to front laid out in shrubs and trees enclosed by wall and railings. 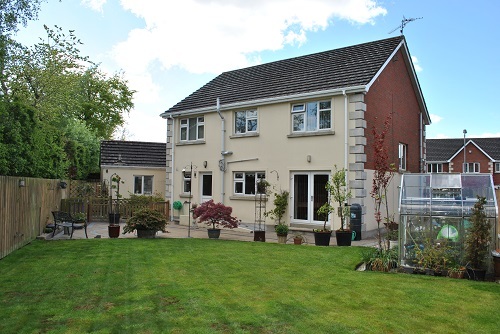 Tarmac driveway with good parking space to front and side of dwelling leading to Detached Garage at rear. 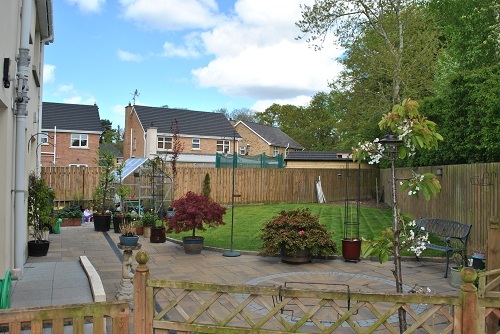 Private south east facing rear garden laid out in lawns, shrubs and trees enclosed by timber fence and gates. Feature patio areas (Tobermore Stone) and raised herb garden. Pvc oil tank. Outside lights and water tap. Portglenone granite steps to front entrance. 19'2 x 13'10 Roller door. Oil fired boiler. Light and power points. 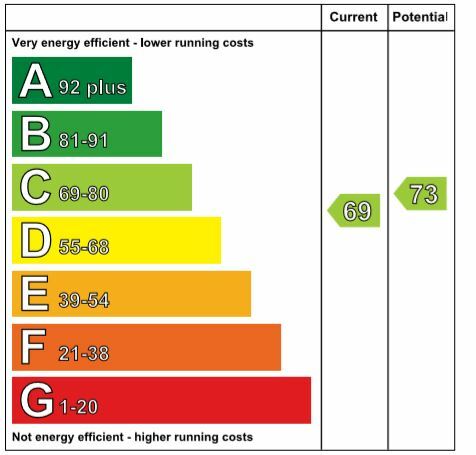 £1189.95 As At May 2018 No Annual Management Charge.